This page has been viewed 3094 times. CAPTAIN JAMES LOWE PROFESSIONAL RELIABLE BOAT CAPTAIN FOR HIRE! I am a licensed Merchant Marine Officer with a 200 ton USCG Master Captain license including aux sail / with full STCW. As important, I am an experienced yacht delivery Captain. Available for moving boats to large yachts (motor or sail) over the water under their own power. I offer delivery and relocations of sailing and motor vessels to ports along the United States Atlantic, East and Gulf Coasts, the Bahamas, and Caribbean. Boat relocations crossing via the Florida Okeechobe Waterway. I literally have thousands of U.S. Coast Guard documented days of seatime. Hundreds of those documented days are logged maneuvering and docking vessels between 150 and 205 feet. Our yacht delivery service is conveniently located in west central Florida, in operation year round. When you need a Captain and or Captain and crew to move a boat, we are here to help you. I am licensed and able to Master or Captain both sailboats and motor vessels. I understand what it means to stay on a boat for days at a time. I also know that most boats are nowhere near as seaworthy as the owners think. Having a recent survey is not a guarantee to actual condition the vessel may be in. Over and over again I have seen problems occur on long voyages. Sometimes it's very simple and can be taken care of on the spot. Other times, we may have to head into port for parts and repairs. Before scheduling a delivery you should take the boat out on a sea trial. Tune up the engines (this could save you in fuel cost). If it's a sailboat check, the standing and running rigging should be checked because something as simple as a shackle pin could bring down a mast. Visually check the decks, hull, engine compartments and safety equipment. (verify All safety equipment is onboard. What else do you need onboard? Spare parts, ex: Hoses, fuel filters, belts, light bulbs, extra oils and coolants and proper tools to make repairs underway. A spot light, working GPS, VHF radio, anchor and ample rode. Owners of powerboats should be aware and have realistic expectations of fuel cost during a yacht delivery or vessel relocation, even at a slow speeds you will likely spend more on fuel for the boat than you spend paying the crew that is delivering the vessel. sailboat owners should be aware that if we are sailing against the wind and current and not making an acceptable speed, I am a delivery service not a sailing purest and my job is to get that vessel to its destination, in this case we will start the engine to help propel your yacht to its next destination. Owner should do a fuel consumption burn prior to any boat relocations, Its simple enough to do. Go to a marina fill the vessel to capacity, chart a course at least 15 nautical miles or more one way, set the boat at your desired cruising speed for the most economical run go there turn around measure the actual distance of your voyage on GPS. return to Marina and fill boat to capacity again, now not withstanding to currents and winds you should have a fair assumption how much fuel you vessel will burn per mile in similar circumstances. Owners of powerboats should be aware and have realistic expectations of fuel cost during a relocation even at a slow speeds you will likely spend more on fuel for the boat than you spend paying the crew that is delivering the vessel. Be aware that running your boat at a higher RPM will use more fuel, while a slower RPM will require the crew to be on the yacht longer. 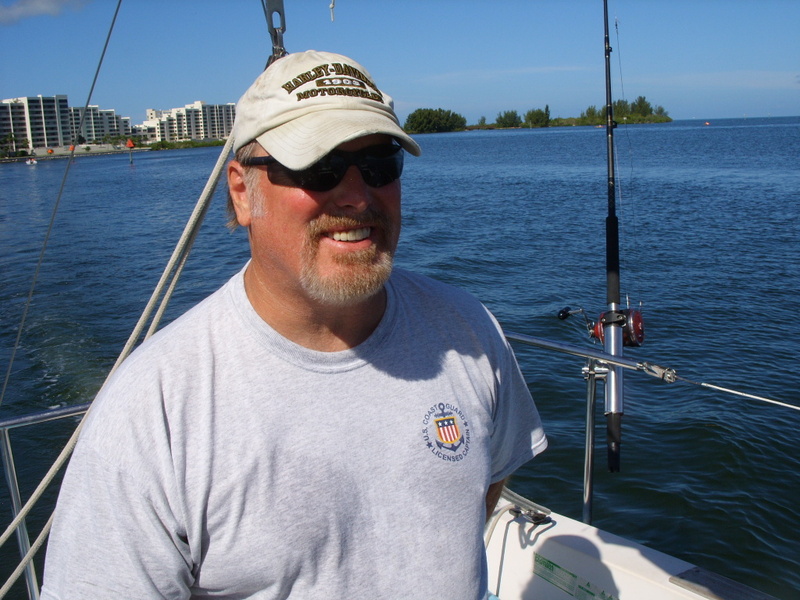 I am a very focused, professional yacht delivery captain specializing in Gulf & East Coast, with extensive knowledge of Florida with years of boating experience. Availible for long or short distant deliveries including Bahamas and Caribbean. Experienced in all onboard electronics, including GPS Chart-plotter, AIS, Radar, Auto Pilot, and much more as well as mechanical skills.